Yesterday I was in Panama City, staying overnight with a friend, Feliciano prior to catching a flight to the Seattle. Every time I visit Panama City I’m amazed by the continuing expansion of the city outward and upward. New construction and improvements are going on everywhere in this dynamic and growing city, not quite at the rate of Dubai, but with far greater esthetic and historical appeal. 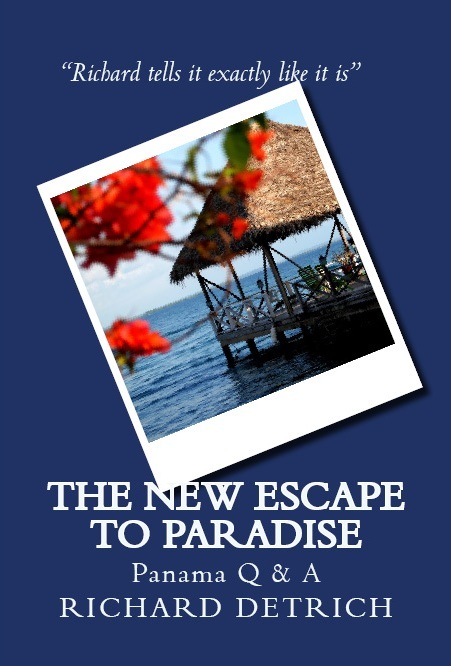 The NEW YORK TIMES recently featured a piece in the Travel Section about Panama City entitled “Panama City Rising” by Tim Neville. Traffic into Panama City was flowing for once, so Miguel Fábrega had only a moment to point out the crumbling ruins in the distance. They were the remains of a 16th-century New Spanish settlement that the British privateer Sir Henry Morgan eventually sacked in 1671. Ahead of us rose Old Panama’s modern replacement: a forest of green, blue and yellow glass skyscrapers that sifted the metallic Central American sky into great vertical columns. “You’re going to hear a lot about identity, who we are and where we are going,” said Mr. Fábrega, a 37-year-old artist, writer and partner in a creative think tank called DiabloRosso, which promotes emerging artists in Panama. We had met over e-mail a few weeks earlier while I was searching for creative residents willing to show me their city, and moments ago he had picked me up at the airport. Despite being founded in 1519, Panama is really only 13 years old, Mr. Fábrega argued, its birthday being Dec. 31, 1999, the day the United States gave the Panama Canal and its surrounding land back to the Panamanians. For the first time in a century the country was whole and independent. Today, that canvas is far from blank, however. Over the past 13 years, Panama City has been racing to become a world-class metropolis, and for travelers, the changes have been enormous. In 1997 there were perhaps 1,400 hotel rooms in Panama City. Now there are more than 15,000 with another 4,582 rooms in the pipeline, according to STR Global, a London-based agency that tracks hotel markets. In the last two years alone, Trump, Starwood, Waldorf-Astoria, Westin and Hard Rock have opened hotels here. A new biodiversity museum designed by Frank Gehry is nearly complete. The country’s first modern dance festival unfolded last year, the same year Panama held its first international film festival. The Panama Jazz Festival is going strong after 10 years. The country even has its own year-old microbrewery. Yes, Panama still struggles with crime and poverty, but foreigners are clearly intrigued with the way things are unfolding. 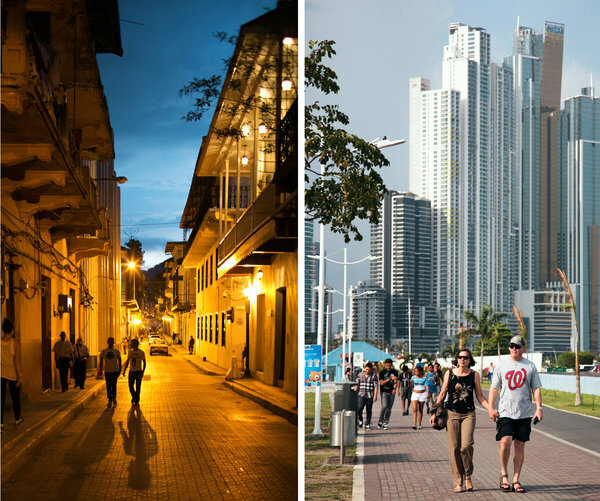 In 1999 just 457,000 international tourists visited Panama, World Bank figures show. In 2011, more than 1.4 million came. Plenty are staying, too: sun-seeking Americans, Venezuelans and wealthy Colombian expatriates who are buying second homes and retirement properties all over Panama. In short, this city of about 880,000 people has gone from a ho-hum business center on the navy blue Pacific to a major leisure destination in record time. In doing so it has become a place full of the kind of paradoxes that occur whenever a very old place grinds against the very new. While the capital now has luxury apartments and five-star cuisine, the thing it needs most is a solid sense of identity. IT WAS LATE MARCH, my first day of five in the city, and over the next few days I hoped to get a sense of a city as it enters its teenage years. I would hike through slums where street merchants sold black magic spices, then change my shirt to sip $15 cocktails in the neon glamour of a Hard Rock bar. I would eat terrible chicken and wonderful octopus. I’d spend time with locals, expats, artists, entrepreneurs and a former gangster. For now, Mr. Fábrega wanted to show me his interpretation of some of the changes afoot. We peeled off the freeway, turned down a boulevard and entered Costa del Este, a section of the city with a skyline that looked like a concrete comb. Our destination was a pop-up gallery that had opened the night before inside an unfinished retail space at the bottom of a new white skyscraper. Sixteen of Mr. Fábrega’s abstract paintings with bright yellows, blues and reds hung on the concrete walls in an exhibition he called “Banana Republic.” It didn’t take long to spot some common motifs: finger-shapes that formed no hands, faucets that had no pipes and machines that could do no work. Indeed, Panama City can feel rather absurd at times. Soon a new $2 billion subway, Central America’s first, will whisk people from A to B, but a dearth of sidewalks can make it tough to go anywhere once you arrive. A modern city could use proper addresses, too. Instead, “by the old KFC” or “across from the guayacán tree” is often as precise as it gets. As we left the gallery, Mr. Fábrega said the surest way for him to get mail is to have it sent to his girlfriend in New York. We drove a few miles west to Casco Viejo, a colonial neighborhood on the far edge of the city, where Mr. Fábrega dropped me off. Casco Viejo, which is sometimes called Casco Antiguo, is a warren of brick streets, leafy plazas and Spanish colonial rum bars blasting the 2/4 beats of cumbia. After Sir Morgan sacked Old Panama, the Spanish regrouped and started anew, this time on a defendable peninsula a few miles away on which Casco Viejo now stands. Panama has pretty much always been a bridge for cultures, conquerors and, well, birds, but once that mishmash gets distilled into the 50-some blocks of Casco Viejo, an eclectic, almost Noah’s Ark-like vibrancy prevails. The Chinese run so many small groceries here that Panamanians simply call the shops “Chinos.” The French left their mark on the corner of Avenida A and Calle 4, where a Parisian-style apartment building displays elegant rounded balconies. You hear German, Portuguese and English on the streets. Parts of the area are still pretty seedy, though, and an elite division of stern-looking police officers patrol the area with machine guns and motorcycles. “I was definitely nervous about coming here at first, with the shootings and the gangs,” recalled Matt Landau, a New Jerseyan who moved to Panama City in 2006 and now owns Los Cuatro Tulipanes, a boutique hotel and apartment enterprise in Casco Viejo. A stray bullet smashed into the Canal House in 2009, and Mr. Landau still warns guests not to wander beyond certain blocks. But Casco Viejo does feel quite safe, even at night, when the neighborhood comes alive with busy restaurants and rooftop bars. “I can’t begin to tell you how much it has all changed,” he said. To understand what he meant, he suggested I meet Nicolas Mercado, a former gang member who now runs a popular bar called La Vecindad on Avenida A. Mr. Mercado, who has a shaved head and thick, muscled arms, welcomed me in a courtyard at the end of a long entryway where two friendly police officers happened to be standing. Graffiti, the artful kind with intricate angles and bold colors, lined the walls. Upstairs a singer was working on a Latin pop track in the bar’s recording studio. It was midafternoon and the place was closed, but Mr. Mercado and I sat outside and talked about change. In a way, his story mirrors the turnaround of the entire neighborhood. In the early days of contemporary Panama, or 1999, Mr. Mercado was 16 and the head of the Hot Boys gang, which prowled the eastern blocks of Casco Viejo. There were three other gangs in the area. They mostly sold drugs, though robberies and murder were common too. One day a man came by ostensibly to buy some marijuana, but he shot Mr. Mercado with a pistol four times instead. The man got away, and Mr. Mercado mostly recovered. So Mr. Hardin donated a space for him and his buddies to start a barbershop. It did not go so well. The first client, an American, wandered out with just half of his head trimmed because the gangster-turned-barber ducked out to make a deal and didn’t come back. Mr. Mercado eventually shaped up and turned the space into La Vecindad in 2009, which has since become so popular with live music that it warranted an expansion into the courtyard. There are no more stray bullets. OF COURSE, the city’s growing pains have been pretty real, too. Boca la Caja, a poor fishing community, is struggling as the city’s demand for prime real estate presses in around it and strangles its access to the sea. A similar fate looms over Casco Viejo with the construction of a controversial bypass that threatens to annul the neighborhood’s Unesco World Heritage status. Traffic is terrible. I had been inside the Panama Interoceanic Canal Museum — a third-floor exhibition in a red-roof building just off the Plaza Mayor — reading about the hazards of building the canal, when Mr. Fábrega picked me up the next day. I still wanted to explore the city’s music, nature and food scene, so we stopped-and-go’ed our way to a restaurant called Maito in Coco del Mar, a largely residential area about three miles away. “I think you’ll like what the chef is doing,” Mr. Fábrega said. The chef would have to work hard to impress me. “Starchy, sweet, fried and basic,” is the way Patrick Maurin, the French executive chef at Trump Ocean Club, described Panamanian food, and few would argue otherwise. One night, I had ordered a salad at a restaurant near the Canal House and cringed at the sorry bits of barbecued chicken and pale lettuce that arrived. Another chef, Mario Castrellón, is trying to do just that. After studying cooking in Spain, Mr. Castrellón returned to Panama in 2005 to work under Mr. Henesy. In 2009 he started his own venture, Maito, which now competes alongside a dozen other worthy places like Las Clementinas or Tantalo Kitchen, both in Casco Viejo. Maito was nearly full when Mr. Fábrega and I found a table under paddle fans next to a window. Outside a gardener tended to raised beds that were bushy with Thai basil, cilantro and other herbs that show up in the food. Mr. Fábrega and I shared a sea bass hot dog — fine, flaky fish rolled into a sausage shape and lightly battered and fried — which was far more delicious than it sounds. We tore into an order of ropa vieja, literally “old clothes,” a traditional meal of shredded beef and sauce that Mr. Castrellón has invigorated with spicy peppers, annatto and goat cheese salsa. The crowning analogy came with the octopus. The creature had been candied, set upon a garbanzo bean paste, and garnished with cilantro flowers and other herbs. It was sweet, spicy, succulent. Eager to explore more of the city, I said a hasty goodbye to Mr. Fábrega and met up with Jessica Ramesch, the Panama editor of International Living magazine. We piled into her Hyundai and fought our way out to a former United States military base called Clayton that sits along the canal in the northwest part of the city. 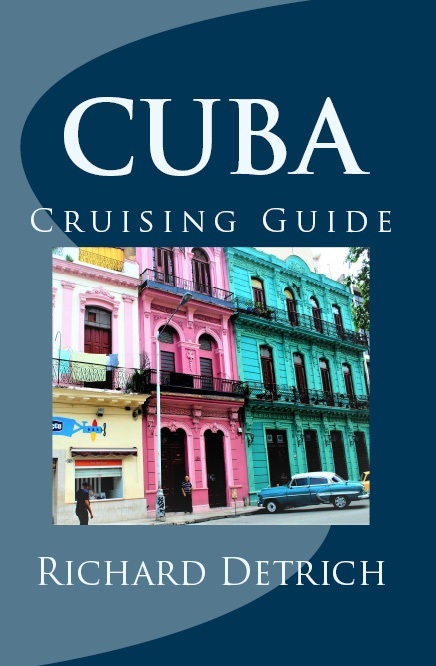 “All of this area was pretty much closed to Panamanians when the Americans were here,” she said as we crept through the Canal Zone, a Phoenix-size former United States territory where Americans working and defending the canal lived a strange, cross-world existence. “Zonians,” as they were called, could get Guess jeans and Jif peanut butter just as on most military bases abroad, but then monkeys might walk with the children to school. Huge ships moved through the Miraflores Locks just to the west of the road. “Many Zonians stayed and some of the bases have become these gorgeous neighborhoods,” Ms. Ramesch said. Clayton is one of them. Though it was now getting dark, I could see community centers and signs for the City of Knowledge, a compound for research, tech companies and nongovernmental organizations. We parked near a soccer field and wandered toward a massive corotú tree where a crowd had spread out blankets and lawn chairs. A band was warming up near the trunk. Over the next several days, few things I saw or did in the city had quite the same wow factor as this bucket band gathered under an old tree. I sipped cocktails at Barlovento, a new rooftop bar where slinky women and V-shaped men swirled around in a cyclone of perfume and cigarettes, and I shopped for tapestries made by Kuna Indians along a waterfront paseo. A hike on a steep, car-less road up a jungly hill in the middle of the city stood out, but that’s because an anteater crossed my tracks, and I’d never seen one of those before. This entry was posted in Uncategorized by Richard Detrich. Bookmark the permalink.